Making sure that your website is targeting the most effective keywords for your business is essential for any SEO campaign. 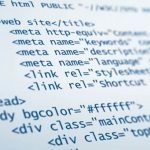 This is how your website will be found amongst the millions like it and also how it will attract readers and customers. 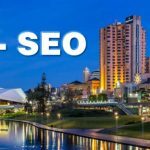 When setting up a website, many business owners are attempting to perform keyword research, with the very best intentions, but without the understanding of a few vital points. 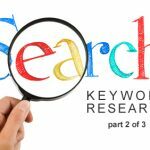 This 3 part series outlines these points so that you can start finding keywords that will be most beneficial to your business. Part one is all about preparing, beginning research and the best way to look at keywords. The first thing to do when beginning your keyword research is to make time for it. Actually put some time aside to spend doing some real research. Keyword research does take time and if it’s rushed through you won’t be getting the best words for your business. When choosing keywords, if you ever think ‘that’ll do’, it probably means that it won’t do, and you need to do a bit more research. Now that we have some time, let’s think about things that make your business unique and special. Having these points in mind really helps to identify your niche and know which keywords fit with your business and which ones don’t. Plus, these points will then be reflected in your choices and the visitors to your site will have found what they were looking for. 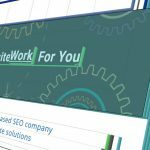 When selecting keyword phrases to research, start with very specific phrases and work backwards to the broader phrases. For example, if you owned a Motor Mechanic in South Australia and your unique points or strengths were that you were family owned and female friendly you might start your research with ‘Adelaide female friendly mechanic family owned’, then try ‘Adelaide female friendly mechanic’ and so on until you start finding some positive results. Don’t forget that each page of your website is separate and should be optimised for its own set of specific keywords. 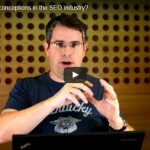 So now we have been through how to get started with your keyword research. Part 2 will help us make the best keyword choices and see what our competitors are up to. Find out more about our Keyword Research Services.